Valentine’s Day may have meant a proposal for you this year—and now you have a chance to win a more than $32,000 winter wedding in in North Port. Stacy Horn from Juniper and Lace Events explains more about this contest and how to apply. 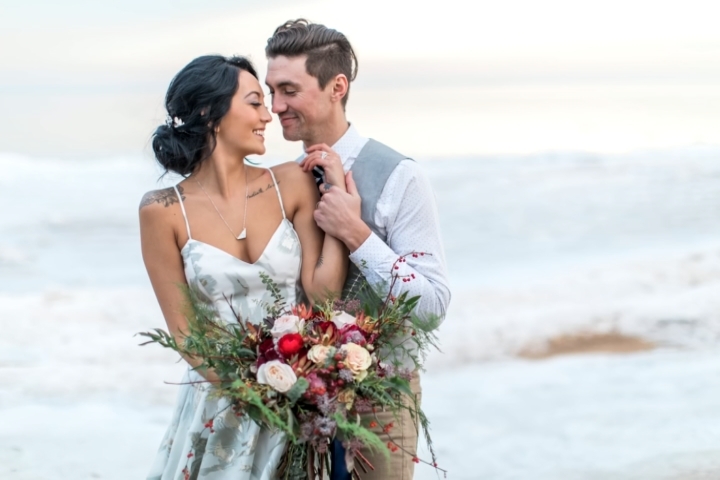 What started as a conversation about doing a winter-wedding photo shoot turned into the idea of sponsoring a wedding giveaway. Normally, wedding planners and photographers will do what’s called a “styled shoot”—basically a fake wedding—if they want to be creative or get new ideas out. Horn says they started to wonder about making their winter wedding idea something for a real couple. “Maybe they want to bring a few friends and enjoy all this work we are doing for a styled shoot,” she says. That’s how the idea for a contest was born. “We’re definitely going to personalize that (the photo shoot) to whatever couple wins,” Horn says. There are 20 vendors sponsoring the giveaway. The dress, tuxedo, rings, food, venue and rings all come through the giveaway. To enter the contest, you have to go to their website, follow all the social media links of all 20 vendors and write them a story about why you love winter.